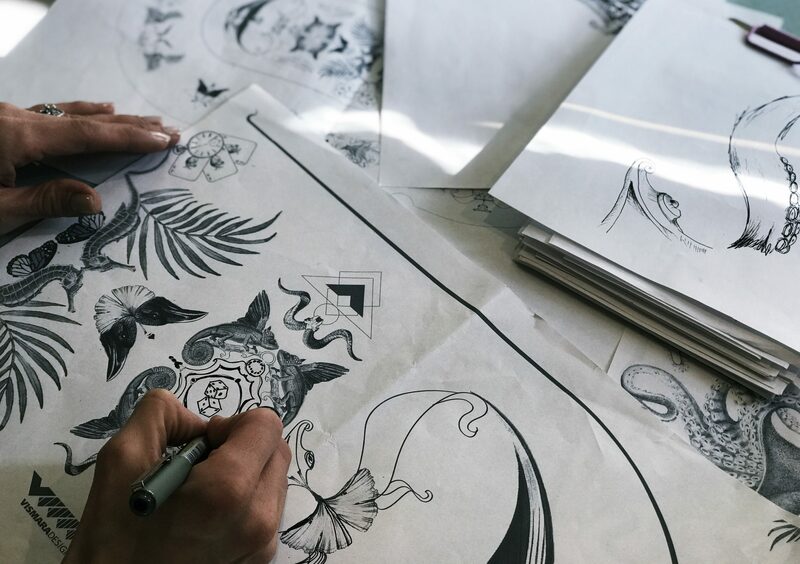 On the occasion of the 58th edition of the Milan-based Salone del Mobile, Vismara Design will exclusively present a new eclectic collection: Circus Limited Edition. 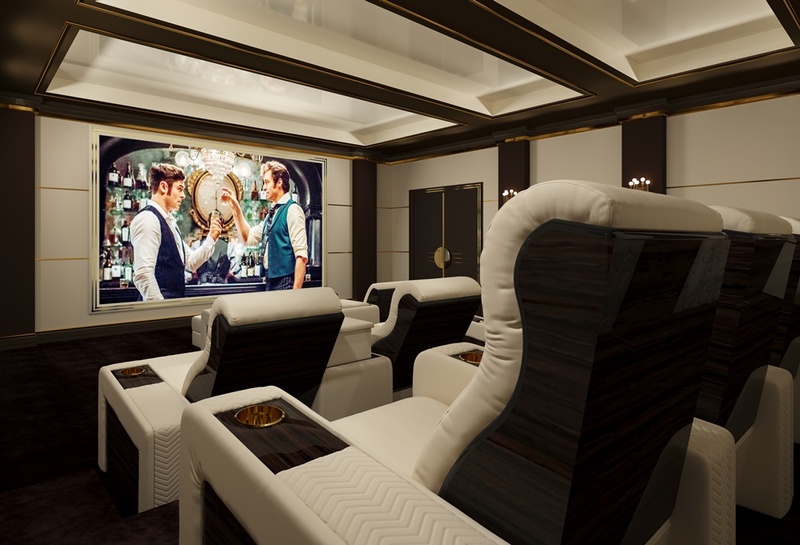 The concept underlying the Luxury Entertainment collection – which is conceiving ​​private entertainment as the true germ of the creation and design of Home Theatre Rooms and Game Rooms luxury furniture – has been thus enlivened. The setting-up, designed under the art direction of the Milanese architects Giulia Mariani and Lorenzo Viola, has been studied so as to grant a totally unique experience to all those visiting the Vismara booth. Already from the outside, visitors will feel like finding themselves in front of a sparkling Broadway-style theatre, where illuminated signs and a multitude of light bulbs recall the atmosphere of New York during the 1920s. The central foyer opens up to different environments, all characterized by peculiar albeit harmonious elements. The home theatre room, equipped with all the necessary to live an exclusive experience within the confines of your home, is flanked by the billiard room – the perfectly elegant and cosy setting where to spend one’s own free time. Again this year, the cinema room will be enhanced by the excellence of the Samsung IF Series screen. This is the second consecutive year that Vismara and Samsung have been collaborating closely for exhibitions, events and ad hoc projects around the world. No doubt you will be astounded by its 140” screen, whose visual qualities exceed any standard; with its fine pixel pitch (1.2 mm), this product is the perfect example of how expertly Samsung moulds extreme luxury on the basis of the customers’ needs. Following the path visitors eventually reach the fulcrum of the booth, a space where the playful spirit of Vismara products can be perceived in its entirety and where the new Circus collection shows itself in all its wonder. Circus is the result of different influences and suggestions weaving together: its name refers to the feeling of awe and wonder that pervades people when in front of a circus show, where magic and unpredictability allow to slip outside the boundaries of time. The inspiration for the creation of these limited-edition artworks comes from different artistic trends that merge into a perfect synthesis. The world of the scientific illustrations of the XVIII century is intertwined with the surrealist art movement of the early 1900s. Through Dadaist-style collages, ancient illustrations are thus transformed into imaginative interpretations of dream worlds. As in an eccentric modern Wunderkammer, the Circus edition makes customers immerse themselves in an extraordinary universe. The bizarre figures populating these fanciful worlds are illustrated by the artist Caterina Orlando and totally dominate the Poker Table cloth, whose uniqueness is further proven by its limited and exclusive production. 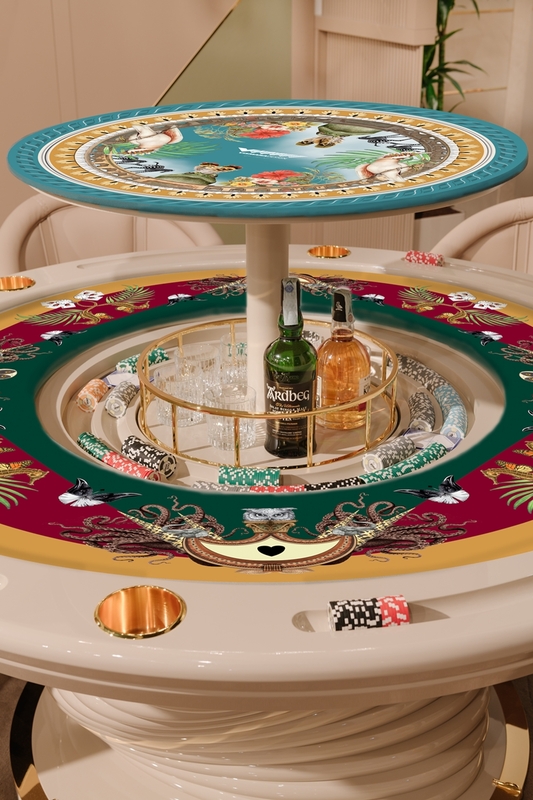 The lucky one who gets to have a poker table from the Circus collection will be the owner of an undisputed unique piece of art and design. 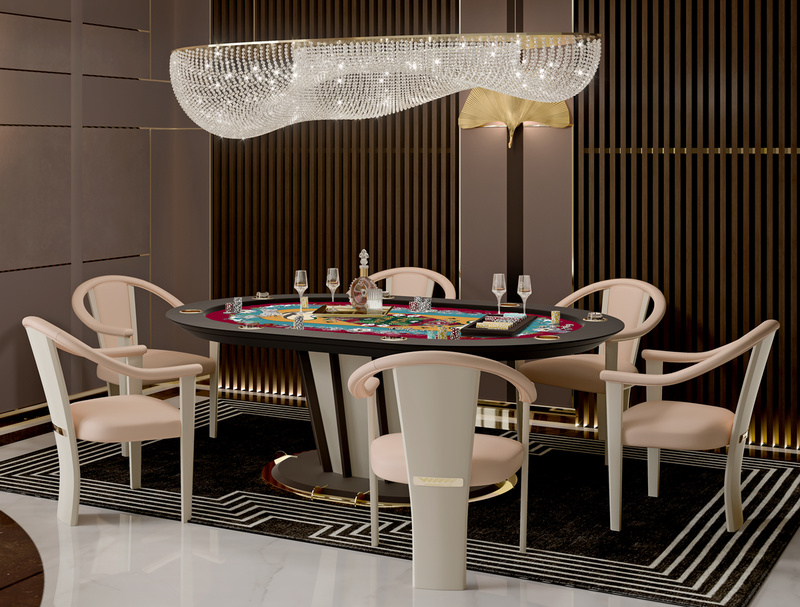 Among the new products that enrich Vismara Luxury Entertainment collection we will also find Arya, the new table for Air Hockey – a game whose dynamism is here expressed through a modern and sophisticated design. Another newcomer to the Vismara family of games is Argo, the new darts game. This piece of workmanship adorns any wall thanks to the eccentricity of the Circus illustrations and the meticulous attention given to details. Vismara Design is pleased to welcome and invite all those who want to get lost in the incredible Circus world and explore the concept of Luxury Entertainment to visit its booth E06, Hall 1 xLux, from April, 9 –14th.